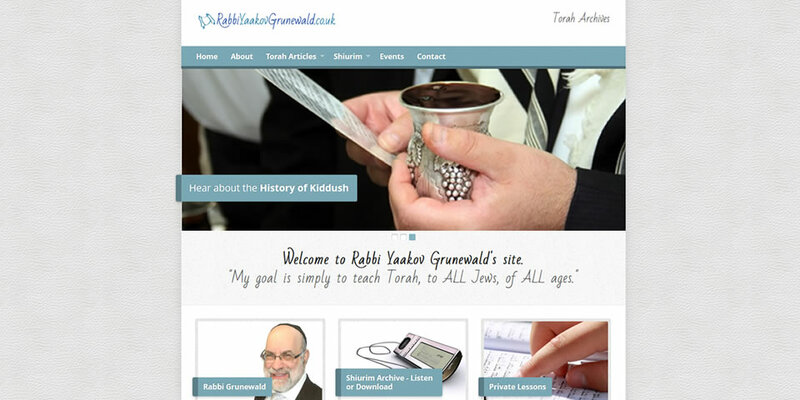 RabbiYaakovGrunewald.co.uk is a feature-packed wordpress site which includes the ability to play and download audio files directly from the site. 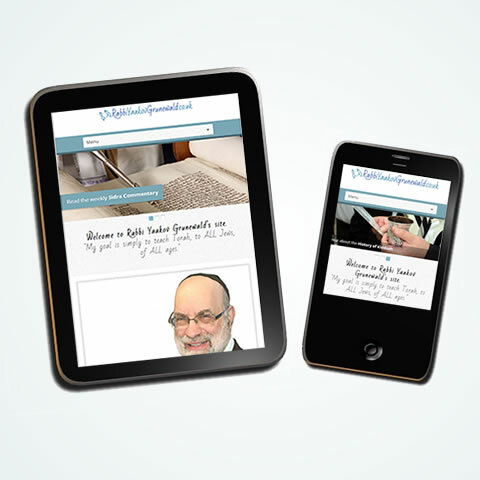 The design and colours which I chose reflect the spiritual nature of the Rabbi’s work balanced with the need to keep ahead with today’s generation -the site is also ‘responsive’ so it looks great on a tablet or mobile phone! 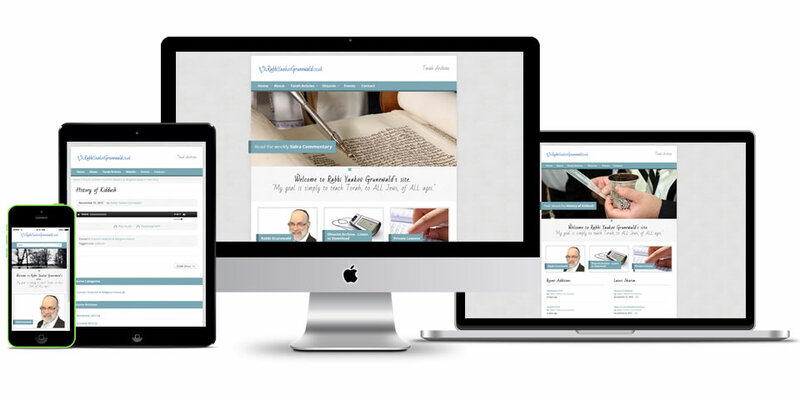 The client now self-maintains the site, adding weekly articles. Please click here to contact me today!